The Sun claim that Manchester United are looking for a new right-back but the form of Diego Dalot has persuaded Ole Gunnar Solskjaer to drop interest in 21-year-old Aaron Wan-Bissaka of Crystal Palace. Instead, Solskjaer is reportedly turning to a more experienced option: PSG's Thomas Meunier. 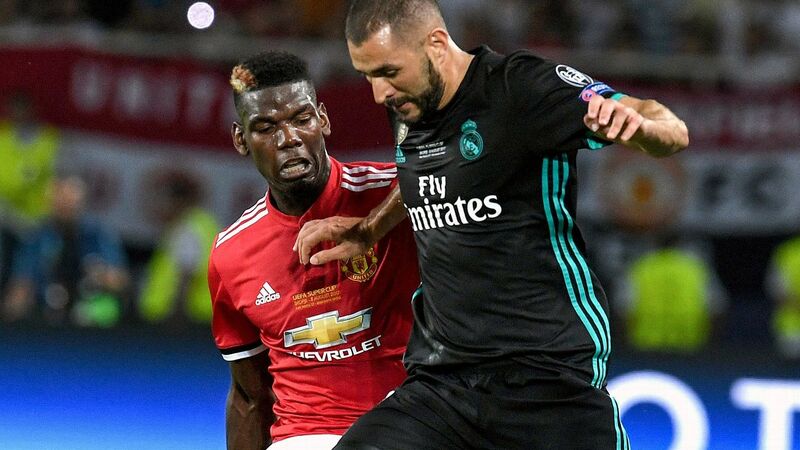 The 27-year-old Belgian hasn't really seen eye-to-eye with the Parisian fans and is ready to move on in a bid to find more regular first-team football. Meunier certainly fits the bill for United, who are losing Antonio Valencia this summer and don't want to rely on kids for next season. But it might help to know that Meunier is a big Man United fan too. That should help ease the motions on this transfer. 23.15 BST: That will do it for tonight's edition of Transfer Talk LIVE. 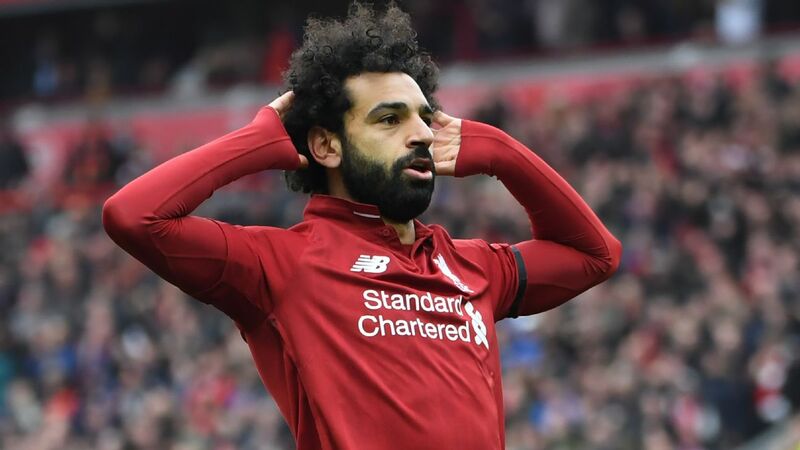 We hope you enjoyed following along with us and remind you to check back shortly for more transfer rumours and rumblings from around the world of football. Goodnight and enjoy the games on Sunday! 23.02 BST: Most reports suggest that Ander Herrera's time at Old Trafford is winding down and that the Spaniard will set to join PSG on a free transfer this summer. Not so fast, though, as Man United may just be willing to go to extreme levels to keep the Ole Gunnar Solskjaer favourite with the club. 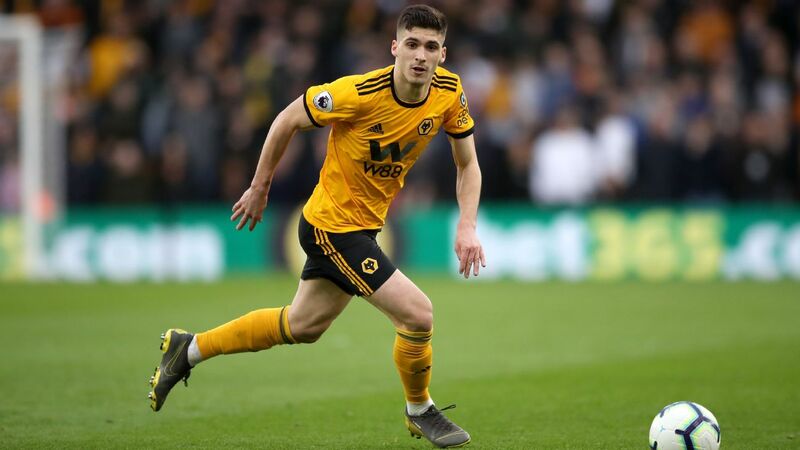 Forbes claims that the club are doing everything they can to convince him to stay, including having offered him a new four-year contract that would more than double his salary and pay him over £200,000-a-week in wages. Will it be enough to convince Herrera to stay? Or has that shipped already sailed? 22.28 BST: We just mentioned Callum Wilson but could Chelsea be eyeing a move for the 'new Zlatan Ibrahimovic'? The Mirror writes that Chelsea are tracking Swedish phenom Alexander Isak, who has thrived in Holland at Willem II since arriving on loan from Borussia Dortmund. Isak, now 19, was considered one of the highest-rated teenagers in world as recently as a year ago but struggled originally after arriving in Germany. A loan to Holland has done wonders for the youngster, Isak having scored 11 goals in 11 games and started to draw attention from clubs like Chelsea and Real Madrid. 21.40 BST: Chelsea could be looking for a new striker with Gonzalo Higuain misfiring and Olivier Giroud struggling for goals in league play. Bournemouth's Callum Wilson is one name being linked with a move to Stamford Bridge but don't hold your breath Chelsea supporters. "I signed a long-term contract, I'm happy down there - I'm playing football," Wilson recently told the Daily Star. "I'm happiest when I'm on the pitch. I never want to go and sort of be somewhere that I'm not going to play. "I never want to see myself not playing at Bournemouth even, being on the bench and things like that." Wilson, 27, has 12 goals this season for the Cherries but having suffered multiple serious knee injuries, seems like a player who is happy where he is and has it all in perspective. 20.53 BST: Liverpool to sign Hazard? His younger brother Thorgan Hazard is the one being linked with a move to Anfield, French website Foot Mercato claiming the Reds are "determined" to sign the Borussia Monchengladbach attacker. Hazard, 26, has 12 goals and 11 assists this campaign for 'Gladbach and has drawn interest from Atletico Madrid and Borussia Dortmund. 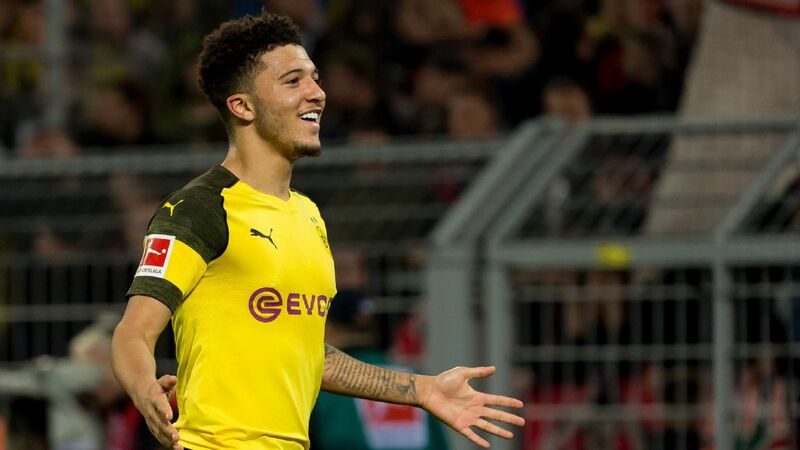 Don't dismiss the Liverpool links as rubbish either as Borussia Monchengladbach director Max Eberl confirmed the links earlier this week with Sky Germany. "We'll have to see where his path will continue. 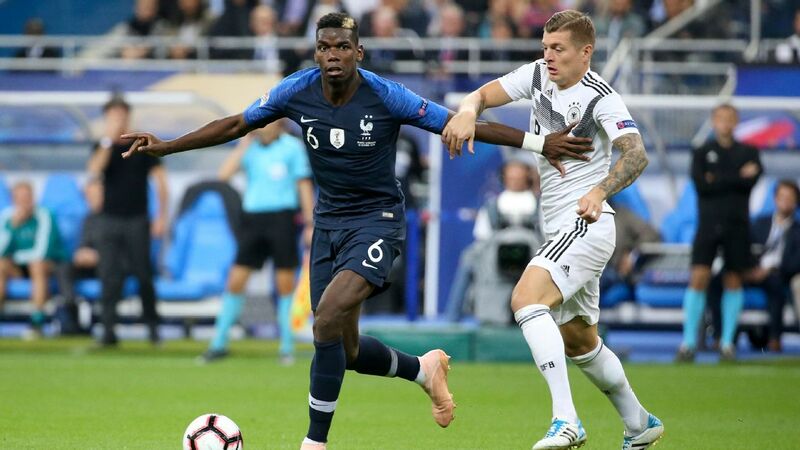 I don't know whether it will be at BVB, who are constantly being mentioned, or at Atletico Madrid, Liverpool or another club." Hazard, who is being valued at around €40 million, will be entering the final year of his contract with Borussia Monchengladbach next season. 20.07 BST: What's next for Paulo Dybala? With the talented Argentine not a first-choice player under Massimiliano Allegri of late, there is increased speculation that Dybala's days in Turin could be numbered. Now 25, Dybala's development has seemingly stunted with the Old Lady and according to reports, Juventus have slapped an £86 million price tag on the attacker. Enter Man United. With Ole Gunnar Solskjaer looking for a new attacker, Dybala would be a major coup for the Red Devils as he remains a top-level talent but likely needs a change of scenery. Dybala's future looks to be somewhere other than in Turin. Whether it is Manchester or somewhere else remains to be seen. 19.14 BST: From potentially good news to potentially bad news for Everton. The Telegraf suggests that Tottenham could swoop in for on loan star Andre Gomes. Everton are very keen to hold on to Gomes, who has spent the season on loan from Barcelona, but Spurs are prepared to bid £30 million for the Portuguese midfielder, according to reports. While Marco Silva and Everton admire the player, they are unlikely to be able to win a bidding war with a top-six club like Tottenham, if Spurs were indeed to come in for the Barcelona reject. Gomes' situation will surely be one to follow closely this summer. 18.30 BST: Everton have been looking for a striker ever since Romelu Lukaku left Goodison Park, with players like Oumar Niasse, Sandro Ramirez and Cenk Tosun flopping with the Toffees. Still searching for a solution, Everton are being linked with one of the top goalscorers in the English Championship: Che Adams. Adams, 22, has exploded for 22 goals so far this season (after five last season) for Birmingham and Premier League clubs have taken notice. Southampton, Burnley and soon-to-be-promoted Norwich are interested in Adams but Football Insider claims that Everton are prepared to blow the competition away with a £15 million bid. Is Adams the answer to Everton's forever striker problem? Time will tell. 17.12 BST: Tottenham haven't signed a player in two transfer windows but with their brand new stadium now built, expect Spurs to make a splash this summer. The Daily Mail writes that Spurs are keen to add another striker as insurance for Harry Kane, with Celta Vigo's Maxi Gomez a target. 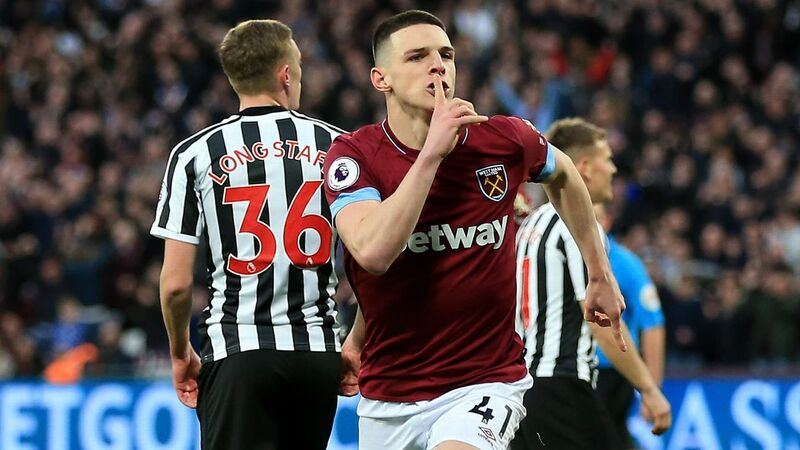 The 22-year-old Uruguayan striker has been linked with the Premier League before, notably with West Ham, and has a release clause of £43.5 million. Gomez has gone from 17 goals last season to 11 this season, and may go for less than the £43.5m, especially considering Celta Vigo's relegation troubles. 16.35 BST: Could Lille dynamo Nicolas Pepe and PSG be a match? After recent rumours started by LOSC coach Christophe Galtier, PSG boss Thomas Tuchel weighed in when speaking to ESPN FC: "He can play for us tomorrow (joking)! That is not a problem. I will leave Angel (Di Maria) on the bench for 60-70 minutes. We can try it out. Nicolas is a decisive player for Lille -- he boasts many qualities. He is always determined in front of goal, and very dangerous. "We know about Nicolas. He is a player capable of great things. I do not know what he is like as a character, but if he is ready, he is ready. When his coach says something like that (Pepe being a good fit at PSG), we have to take it into consideration." Sounds like the interest could be mutual. 15.58 BST: Manchester United and Liverpool have been tracking Ajax star David Neres but the Daily Telegraph report that Arsenal are entering the race. 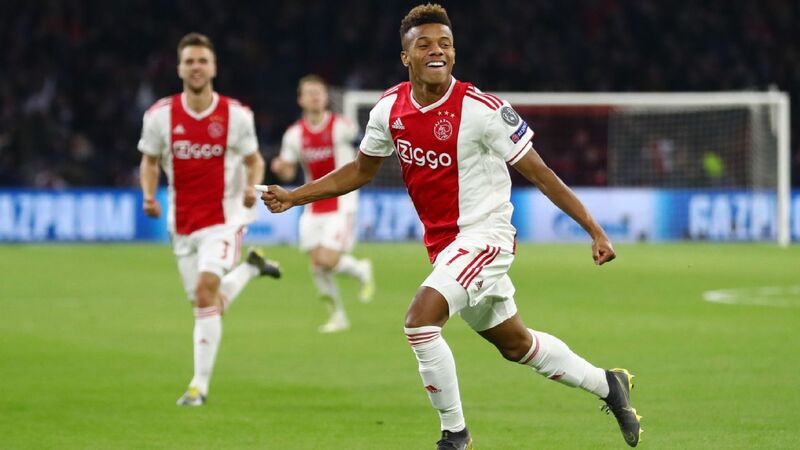 Neres, 22, has impressed with Ajax but would cost around £35m this summer if he were to be sold. 15.02 BST: Juventus are in action right now and look set to wrap up the Serie A title against SPAL but Tuttosport reckon they are ready to ditch Paulo Dybala to raise the €120m they need to buy Joao Felix from Benfica. Why just have Cristiano Ronaldo when you can have 'the next Cristiano Ronaldo' as well? Manchester United, Manchester City, Bayern Munich, Real Madrid and Barcelona are all keen on Felix too, but if they don't get him there won't a shortage of suitors for Dybala from this lot either. 13.50 BST: Inter Milan look set to lose winger Ivan Perisic this summer, after the Croatian almost signed for Arsenal in January. But while the Gunners may no longer be interested, Gazzetta dello Sport claim that West Ham have joined Tottenham in the race for his signature. 13.12 BST: It's the rumour that just won't die... Arsenal are reportedly still keen to sign Roma midfielder Steven N'Zonzi, according to Tuttomercatoweb. Unai Emery is evidently a fan of the 30-year-old, having worked together at Sevilla, but he's hardly one for the future. 12.19 BST: Muhamed Besic was once a very sought-after midfielder in the Premier League, but Everton moved him out on loan at Championship side Middlesbrough and he's struggled to persuade the big boys that he's worth a gamble since. However, the Daily Mail report that Besiktas and Fenerbahce are willing to go for him this summer. 11.26 BST: Barcelona's move for Malcom didn't really work out, so they are considering another go at Chelsea winger Willian, say the Daily Telegraph. "The Spanish giants had a £55million bid for the Brazilian rejected by the Premier League club last summer and tried again in January, when they offered Malcom plus cash, but are now looking to do a cut-price deal at the end of this campaign," says the paper. 10.45 BST: The Athletic report that DC United's Chris Durkin had interest from European sides last window, including a rejected loan offer from Bayer Leverkusen. The other clubs interested in the U.S. youth national team midfielder are evidently Benfica and Sporting CP. 10.02 BST: Real Madrid are set to rival Barcelona for the signing of Takefusa Kubo, according to Marca. The Japanese teenager had to leave Barca in 2015 when they were hit by a FIFA sanction for signing foreign minors. However, when he turns 18 in June he will be legally allowed to return to Europe. The Catalans are reportedly keen to bring him back from FC Tokyo but Madrid could complicate things for them. 09.24 BST: Manchester United manager Ole Gunnar Solskjaer has warned his squad he will make "ruthless" decisions as he looks to build a team capable of challenging Manchester City and Liverpool. "It's going to be survival of the fittest or survival of the best," Solskjaer told a news conference ahead of the Premier League clash with West Ham. "That's how ruthless we have to be. We need players here who are going to be able to take us forward. That means culture in the dressing room, what we do every single day here to make us challenge again." Inter Milan have gone beyond merely expressing interest in Christian Eriksen, and have now opened preliminary talks to sign him, CalcioMercato reports. Eriksen's contract at Tottenham Hotspur expires in 2020, meaning the summer transfer window is the final opportunity they will get to sell him for a significant fee, unless they can tie him down to an extended deal. Juventus are also hopeful of signing the Denmark international, but to do so could cost more than €100 million for either club. 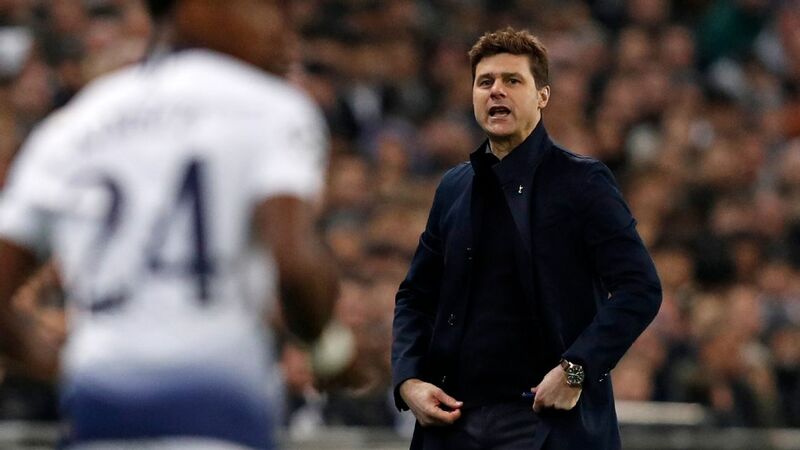 It's also been reported that Spurs have no interest in selling one of their star players and are looking for solutions to keep him at their new stadium. Crystal Palace are set to be priced out of permanently signing loanee Michy Batshuayi from Chelsea at the end of the season, CalcioMercato reports. The Blues are looking to sell the forward for around €45 million, and Borussia Dortmund, Fiorentina, and Torino are all reported to be interested in him. AC Milan also made no secret of their interest in Batshuayi during the January transfer window to replace Gonzalo Higuain, who went the other way to Stamford Bridge. However, they opted to sign Krzysztof Piatek instead and will not revisit the Batshuayi saga unless Patrick Cutrone leaves the Italian club in the summer. Bournemouth to cash in on Fraser? AFC Bournemouth may be willing to let Ryan Fraser go this summer transfer window, according to The Mirror. Eddie Howe has insisted that he wants to keep the Scotsman on the south coast, but the Cherries are aware that moving Fraser on this summer could be the right decision considering the remaining length of his current contract. Should Fraser stay until it runs it out in 2020, he could be sold for free, however with Arsenal currently interested in the winger, selling him in the summer looks like the most financially profitable option for Bournemouth. The report states that Fraser is willing to let his contract run down, and that there have been no fresh talks on extending his deal at Vitality Stadium. - Matthijs De Ligt looks likely to snub the Premier League for top European football elsewhere on the continent. 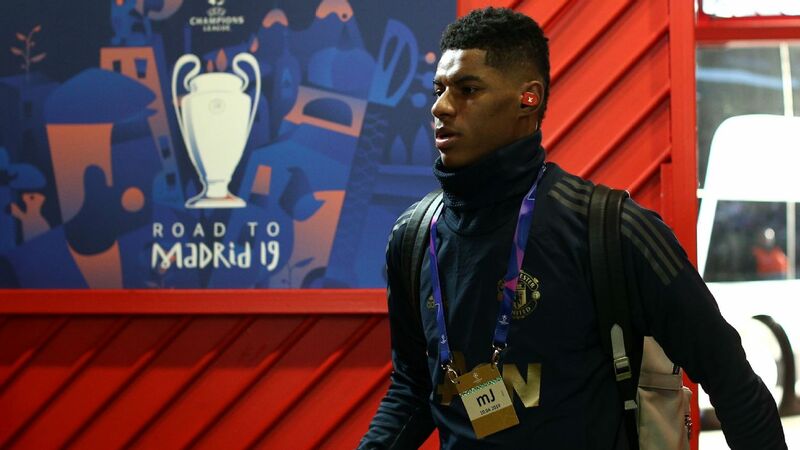 Manchester United and Liverpool had shown interest in the player, but Ajax coach Erik ten Hag said: "He will leave in the summer, but I don't know if it will be for Bayern Munich or FC Barcelona." - Inter Milan remain interested in signing Romelu Lukaku from Manchester United, CalcioMercato reports. Mauro Icardi has been linked with a move away from the Italian side, and Lukaku is considered to be the suitable replacement.